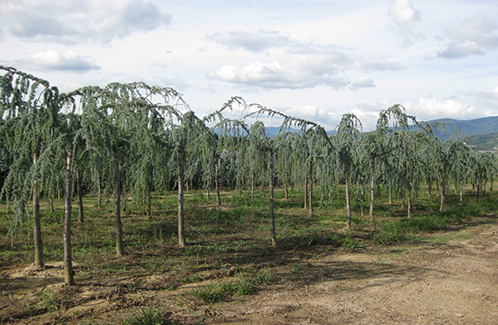 VivaiPiante Bal is a well-known business located in the city of Pistoia, active in the field for over 50 years. VivaiPiante Bal welcomes its customers with a pleasant smell of flowers and with an intense sense of well-being. A highly-qualified professional staff is fully available to offer customers all the information on any kind of plant and to advise them on which plant to buy according to sun exposure and to the environment in which the plant has to be placed. In particular, the nursery deals with realizing parks and gardens, both public and private, offering a personalised design service. 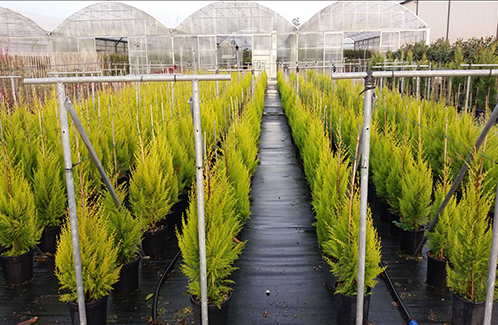 The wide offer of plant species in the Bal nursery ensures that every client will find the right balance between personal taste and the distinctive features of the location where the plants will be positioned. A green thumb and the passion for growing guides every day the staff in their work, to be able to meet any type of demand. VivaiPiante Bal carries out a management model finalised to optimise the production processes through a specific analysis of fertilisation, land irrigation, and the retrieval of flowing-back water. Vivai Bal produces the plant species on a surface of 6 hectares in open field and one hectare in vases. VivaiPiante Bal boasts a great experience in the field. It has become a point of reference in the area that one can contact with trust to buy garden plants in Pistoia. VivaiPiante Bal deals with selling ornamental plants in Pistoia, offering a wide range of plant species at highly reasonable and convenient prices. Alessandro and Luigi Bessi’s VivaiPiante Bal is a well-known plant nursery in the Pistoia area and it has been working in this field for many years.